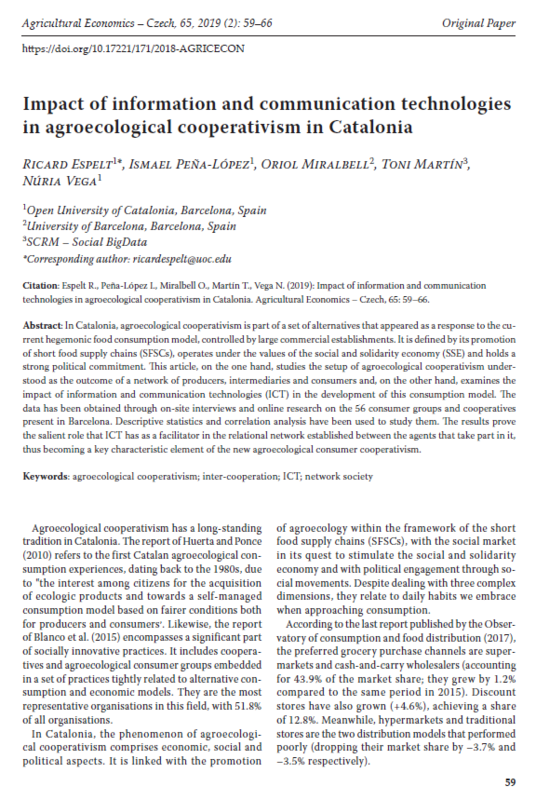 Since 1995, cooperativism in general, and agro-food consumption groups in particular have grown in number very quickly in Barcelona, after decades of total sleep of the movement. The dictatorship of Francisco Franco killed most of the existing initiatives dating from the XIXth century, but the dictator died in 1975 and democracy was restored in 1977: why did it take so much time for cooperatives to flourish back? Is it a coincidence that their rebirth was at the same time that the Internet went public and digital mobile technologies began to be massively adopted? In other words, does cooperativism has to do with the digital revolution? Even more, does cooperativism has an activist component that is closely related with technopolitics? 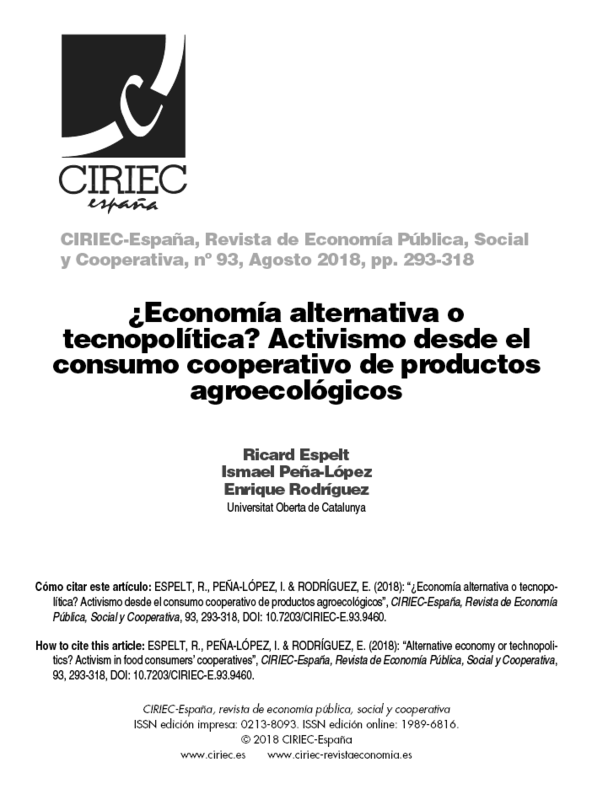 This is the starting point that Ricard Espelt, Enrique Rodríguez and I took in Activismo desde el consumo cooperativo de productos agroalimentarios: ¿Economía alternativa o tecnopolítica? , a communication that has been accepted at IDP2016 – Internet, Law and Politics. Building a European digital space, organized by the School, Open University of Catalonia, and taking place in July 7-8 2016 in Barcelona (Spain). Espelt, R., Peña-López, I. & Rodríguez, E. (forthcoming). 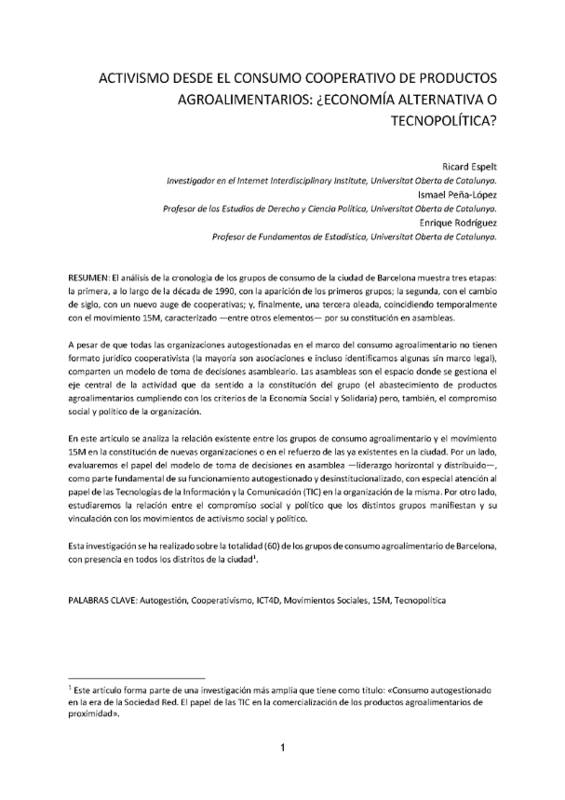 “Activismo desde el consumo cooperativo de productos agroalimentarios: ¿Economía alternativa o tecnopolítica?”. In Balcells, J. et al. (Coords. ), Internet, Law and Politics. 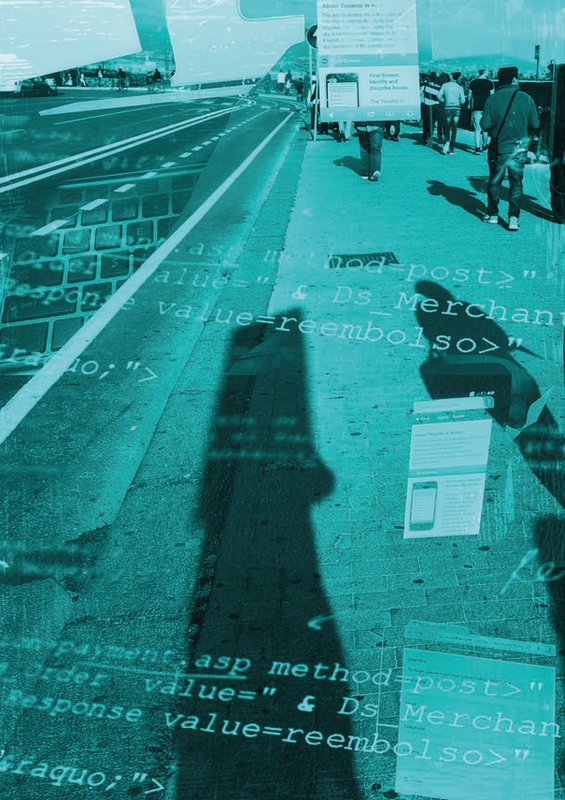 Building a European digital space. Proceedings of the 12th International Conference on Internet, Law & Politics. Universitat Oberta de Catalunya, Barcelona, 7-8 July, 2016. Barcelona: UOC-Huygens Editorial. The communication he just presented, Mapping agro-food consumption groups in the city of Barcelona , is but a part of a major research project that Ricard is doing and that I have the luck to be a part of. Following can be found the abstract, slides and downloads of our communication, signed together by Ricard Espelt, Pere Losantos, Enrique Rodríguez, Toni Martín, Francesc Pons and myself. Mind that it is only a short paper and, thus, only a small part of the information produced is available. Comments (and/or requests) will definitely be welcome. Social networking sites and democracy: rethinking participation. We’ve talked too much about citizen participation… we’ve been talking too much about it despite the fact that we are still doing too little. The more global thing always has a very local background. Most big civic actions begin with small, local initiatives. Representative democracy is old, and has aged badly. Public representatives are seen not only as unable to solve problems, but even to identify them. Will participation turn old representative democracy into a young participative democracy? The problem is that we use a loudspeaker to talk to people and let them decide… on a previously set of options. Participation is not about letting people give their opinions on what is already decide, but about deciding what has to be decided. Then comes commitment. In participation, is there a commitment to take action? to transform things? Or is it just faking decision-making but, all in all, not deciding anything? Participation should also raise awareness… on the limits of participation itself: what can be decided and what not, what are the costs of any option/decision, etc. It is crucial that people understands how did we get here, what is the logic and the process and means by which a final decision was made. The solution may be agreed by everyone or not, but the process should. Participation, and even agreement or decision-making is not about turning diversity into a homogeneous mass. It’s about finding common goals within disagreement. Same with how to lead and how to facilitate a process. Who is an influencer, who is a local leader? Unless one does not know and engage these leaders and influencers, civic action is bound to failure. Participation has to be inclusive. We should care that everyone participates, that everyone is engaged with both the topic and the process. This engagement many times by setting up places where people can meet each other, interact, do things together… not necessarily related with participation or decision-making, just creating bounds. Defining clear goals and places for deliberation should be a top priority once a community and problem have been identified. Then, it necessarily comes making participation a collective action. And a collective that is connected. Collective: many people; connective: the collective connected. If possible, participation should be disruptive, innovative: it is engaging and, most of the times, efficient in optimizing the resources at reach.